Daniel Ricciardo attended an emotional final day of formal Red Bull Racing duties at the weekend, and while it was an opportunity to reflect on the good times he’s shared with the race-winning team, focus now shifts to the question of what the Australian’s future holds in the Formula One midfield. On two levels Ricciardo’s RBR departure is the closing of a chapter: not only does it end a 10-year association with the Red Bull brand, but also it concludes the four-year, 100-race stint at Red Bull Racing that turned the Ricciardo name into one of the current generation’s hottest properties. It took only one season at the four-time constructors champion in 2014 for Daniel to earn himself the champion-in-waiting tag by combination of his aggressive on-track attitude and his 71-point drubbing of teammate and then reigning world champion Sebastian Vettel. 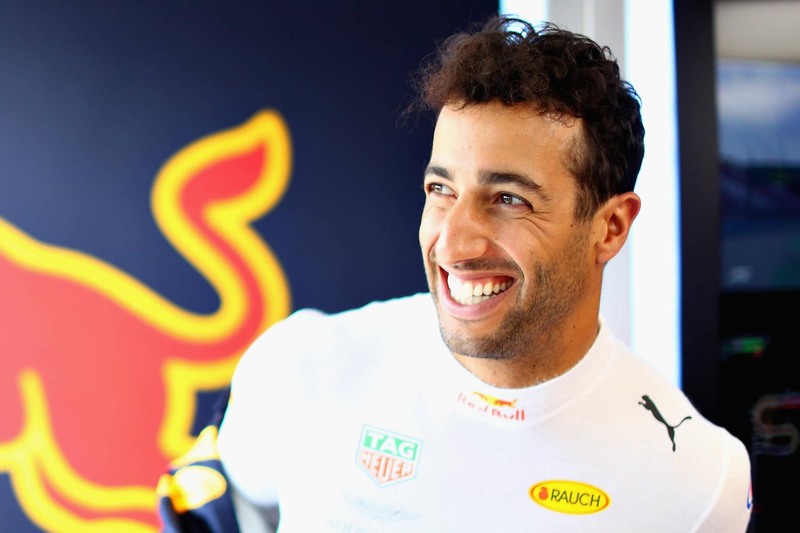 But his successes at Red Bull Racing, with which he scored all his seven wins, 29 podiums and three pole positions, weren’t enough to prevent Ricciardo from making the surprise decision to seek pastures new for 2019. Red Bull Racing, after all, has failed to mount a title challenge for the entirety of his career with the team, and questions remained about the switch to unproven Honda power from 2019. But decisive too was Ricciardo’s excruciating year of poor reliability — he retired eight times this season, more than any other driver — which visibly wore him down. His status in the team alongside Max Verstappen — the Dutchman comprehensively outqualified Ricciardo 15-5 and outscored him 249-170 — was also an influential factor. So it is that he will arrive at Renault not on the wave of confidence many expected him to be riding after his sizzling start to the season but with a point to prove that he’s still the champion-in-waiting who burst onto the scene in 2014. The situation is not a million miles away from the one that faced Lewis Hamilton ahead of 2013. The Briton, having been beaten by teammate Jenson Button over the balance of their three-year McLaren partnership, made the switch to Mercedes, which was slipping only further down the championship order since returning to the sport as a constructor in 2010. There he joined German journeyman Nico Rosberg, and by 2014, thanks to the team’s vision to invest heavily in sweeping rule changes due that season, he claimed the world champion and launched an impressively successful second chapter of his career. Ricciardo will join Renault likewise in its fourth year returning as a constructor, though the French team has improved exponentially in the championship standings in that time, to race alongside German journeyman Nico Hulkenberg. Renault remains some way off the pace set by the frontrunners, but it too is engaged in a long-term plan to return to competitiveness, which is due to come to fruition in time of the significant regulations changes in 2021 — again, not unlike Mercedes. But the romanticism of the Hamilton-esque dawn of the Ricciardo-Renault era all too easily obscures the cold and unattractive facts of the situation facing the Australian. The first is the substantial gap Renault must bridge to move from the midfield into the frontrunning group. In 2018 the average qualifying gap from the top three teams to the rest was 1.559 seconds, and the French squad was the quickest midfield car on Saturdays for less than 25 per cent of the season — significant ground to make up in only a couple of seasons. But even if Renault’s rapid improvement over the past three years is reason to believe that margin is attainable, it says nothing of the team’s power unit woes — at no point since the introduction of the current power unit regulations has Renault looked anything like having the ability to build a competitive engine. Indeed so dire is Renault’s power unit plight that some estimates place Honda ahead of it on the dynamometer, and the French company now accepts it needs to completely overhaul its power unit design for 2019, an exercise equal fraught with risk as it is reward. There are further spoiling factors to Ricciardo’s decision. There’s Honda’s great strides forward in power delivery this season, with Red Bull Racing already tipping that it will be no worse off in 2019 than it was with Renault power this year, which could translate into championship contention before Renault has made good on its potential. There’s also the fact Renault is unwilling to spend big to win races in what is undeniably a budget-biased sport, instead preferring to run its operation lean and target efficiency with approximately 85 per cent of the resources. A 50-50 call? Short-term pain for long-term gain? However one tries to sell it, there’s no denying Ricciardo’s move is a gamble — but it’s at very least an educated one. “Straight away they said, ‘We’re not going to be quicker than Red Bull next year’,” Ricciardo told the Age. “But what they told me about their plans for 2020 and for when the next rule changes come in for ’21 … they had some good structure in place, they’re recruiting a lot of good key people and they’re preparing to win. And perhaps a change in mentality is all that really counts. Maybe the gamble pays off; maybe it doesn’t. But better Ricciardo be the master of his own destiny than risk his best years wither away through inaction.